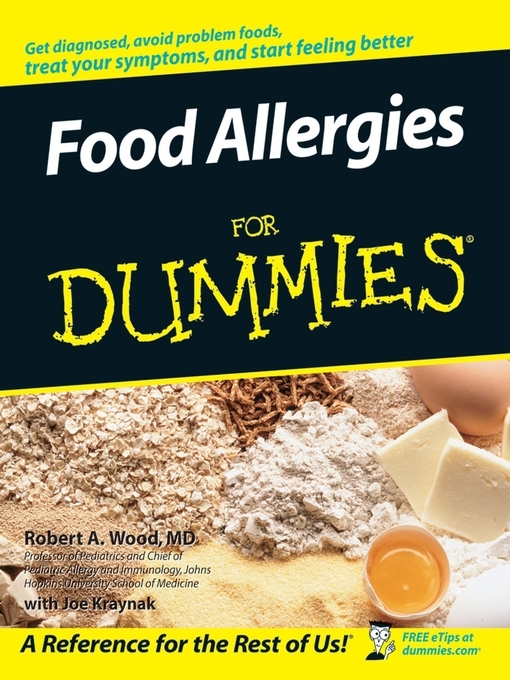 Food Allergies for Dummies by Robert A. Wood, MD. So. Things have been a little wacky at my house lately. We are looking for a new normal since discovering (and admitting to ourselves) that my little guy has food allergies. Most of my reading lately has focused on food allergies. 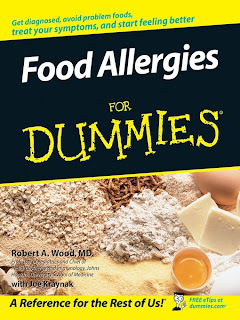 My top recommendation for educating oneself about food allergies goes to Food Allergies for Dummies by Robert A Wood with Joe Kraynack (because, you know, Dr. Wood has the allergy know-how and Mr. Kraynack has the writing thing down). It is by far the most comprehensive guide I found to read. And that was what I wanted. Admittedly, I didn't read the tome cover-to-cover -- that's not my typical approach with non-fiction. But what I wanted to know, it told me. And the book also raised further questions in me and explained them. 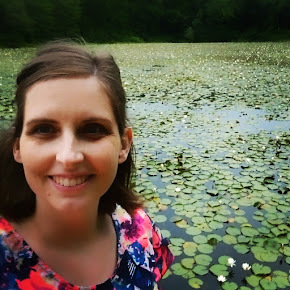 It has enabled me to feel competent at the doctor's office discussing allergies and intelligent about what tests are available, which ones I want him to have and how to proceed. Reading this book was invaluable to me when my son started having a severe reaction to milk (he found his brother's sippy cup). Who do you call? What do you say? When is a reaction serious and when is it deadly serious? I wish I had found Food Allergies for Dummies sooner. Some of my behavior (*ahem* feeding him allergens because I was in denial!) would have changed earlier. If you have a little one, and you even suspect that maybe, just maybe, your precious baby has had an allergic reaction to something PLEASE take the time to educate yourself about allergies. Determine what systems your child is reacting on, and whether or not they have a true allergy (an immune system response). Don't dismiss a reaction as a fluke. If you think something is strange, investigate it now. Like I said, I wholeheartedly recommend Food Allergies for Dummies. If you can't find a copy quick enough, or if you want to read the story of a young man growing up happy with food allergies (which is what I needed after coming out of denial) I recommend www.allergicchild.com.